The following post is part of a series sponsored by Honest, of whom I have been a paying customer since the twins were bitty babes. Thank you for being behind us, Honest. Keep rocking. One of the more frequently asked questions when I was pregnant with Bo and Revi was whether I planned to use cloth diapers. Clearly there was concern over the double diaper duty equating to double the landfill...ing, which I understand and felt similarly guilty about. Having four children meant I would have to work that much harder reducing our carbon footprint as a family. I made it my mission to waste less, buy resale when possible and drive my car only when absolutely necessary. The truth is, while I flirted with the idea of cloth diapers, I knew, from the get it wasn't going to be for us. Not that I don't think cloth diapering is AWESOME, I just didn't see how doing more laundry (we do QUITE a bit as it is) would be our bag. Enter HONEST, biodegradable, non-toxic, natural diapers that were as cute as they were absorbant, functional, not to mention subscription based and BAM = sold. That was last year and we've been monthly subscribers ever since. Every month we get a box full of sustainable (plant-based) diapers and wipes a la the Honest Diapers Bundle, updating when the babies grow and/or if I want to change up the diaper prints. 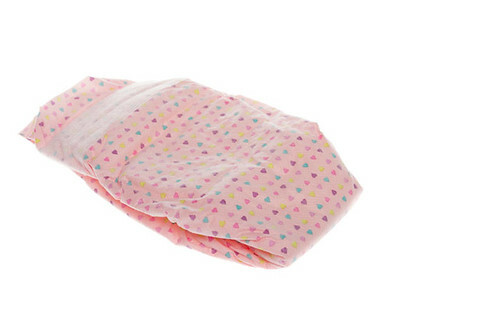 ED: They recently added some ADORABLE new patterns to their diaper repertoire and today, for example, the girls are rocking these 80's-esque "heart print" diaps which remind me of a pair of KEDS I used to wear when I was five. In a good way. Then there's the Family Essentials Bundle which is equally as cool and full of (organic! non-toxic!) household necessities. For just under $36 a month, you get to choose five environmentally friendly toxin-free products for your fam. I especially love their conditioning mist, sunscreen, detergent and stain remover, all of which we use here at home. It's been a joy shopping with Honest this past year. They're a good company full of good people creating good products for the better good. Happy Anniversary, diapers. Let's have some cake. Interested in giving Honest a whirl? Check out their FREE trial and see if it's for you. Honest is also offering free shipping for first-time subscribers. Use code GGCFreeShip between now and 11/13. I also have a free one month diaper (OR family essentials!) subscription up for grabs! To win? Leave a comment below. I'll pick one winner next Wednesday, November 7th. Good luck! UPDATED: Congrats to commenter, Traber for winning the free HONEST trial and thank you to everyone for your comments! Much love! This seems awesome. I'm going to look into it. Look awesome! 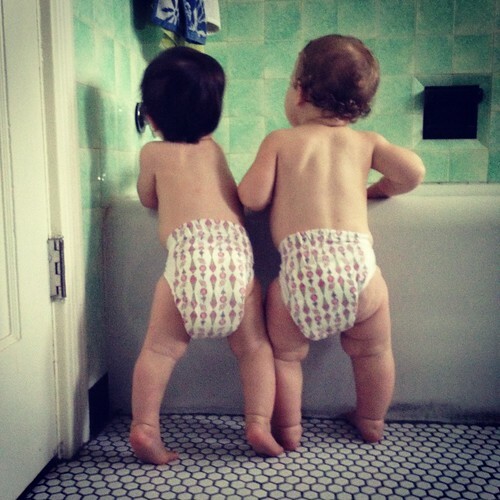 Must check these diapers out! Thanks! Really iPhone, how did yay become poor??? Yes please, I would like some Honest diapers. Please. I wanted to cloth diaper, but I can barely keep up on our regular laundry. I didn't see how adding more to the mix would allow me to stay sane. I'd love to give these a shot!! Oh! Oh! Oh! Free month of diapers?!?!!!! Sign me up!! :-) I'm a long-time reader but rarely, if ever, comment. I love you and your awesome family. Your girls inspired me to get leg warmers for my baby girl... And everyone loves them! Keep being a great mom, an excellent photographer and blogger--- you are a joy to read! Love this company and would love to win! My twin girls and I would love to try these. Two dry tushies and good for our earth, what could be better. By the way, my girls love to see the pics of your girls. Thanks for your beautiful writing, pictures and the chance to win a month of free diapers! Yay, I've been looking for a good stain remover so I'm on this.I would love to win some diapers who likes paying for something their throwing away essentially. My twin girls will be born in the next few weeks! Pretty sure I'm going to need some disposables even though I hope to primarily use a diaper service. Cool concept. Would love to try it out. I've felt guilty about our 3 mo old's diapers going into the trash every week. Honest is a wonderful option! I cloth diaper during the day but use disposables at night and have been wanting to try these!